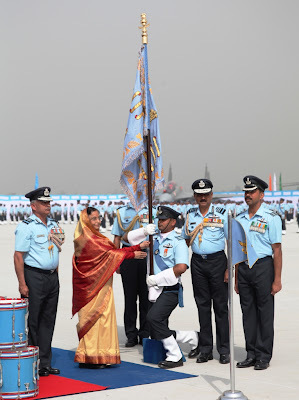 Her Excellency, Smt Pratibha Devisingh Patil, The President of India presented the “Standards” to 24 squadron, Air Force and 111 Helicopter Unit, Air Force today amidst full Air Force regalia in a magnificent ceremonial parade at Air Force Station, Bareilly. The ceremony was also graced by by His excellency shri BL Joshi Governer of Uttar Pradesh, Air Chief Marshal NAK Browne PVSM AVSM VM ADC Chief of the Air Staff, Indian Air Force, Air Marshal Arup Raha AVSM VM, Air Officer Commanding in Chief, Central Air Command, Air marshal AP Garud Vayusena Medal Commodore Commandant 111Helicoper unit Air Commodore Shreesh Mohan Commodore Commandant 24 Squadron and a large number of senior Air Force & Army Officers and civil dignitaries. The ceremony included a ceremonial parade, fly past by various aircraft including ALH MK III, Jaguars and Su-30 MKI in various formations, demonstration by Air Warrior drill Team and aerobatics by SU-30 MKI. 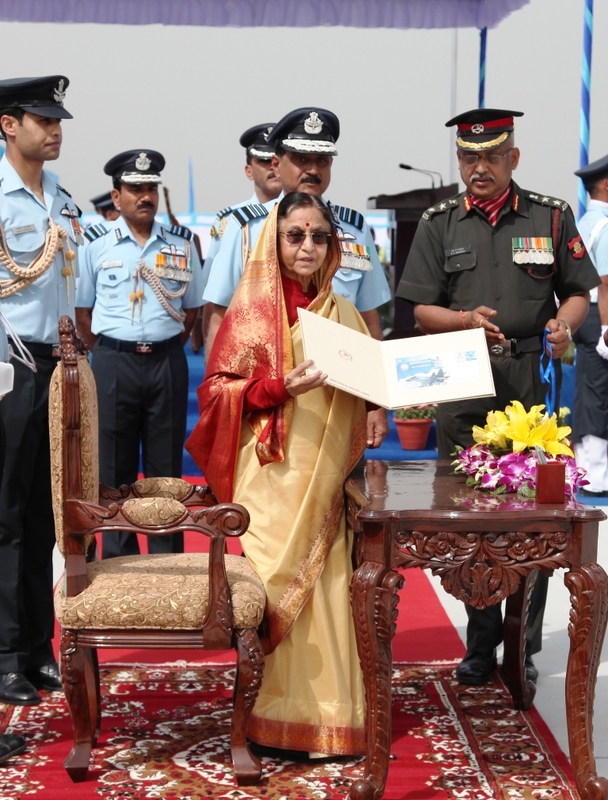 This rare honour has been bestowed upon 24 Squadron and 111 Helicopter unit in recognition of the dedicated and meritorious service rendered by the Units. 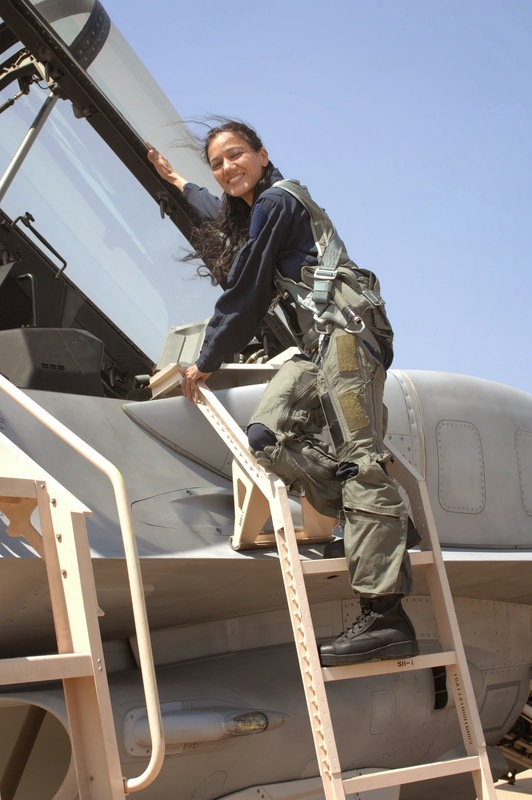 24 Squadron was formed on 16 February 1962. It participated actively in 1962 Indo-china war and the 1971 Indo pak war. 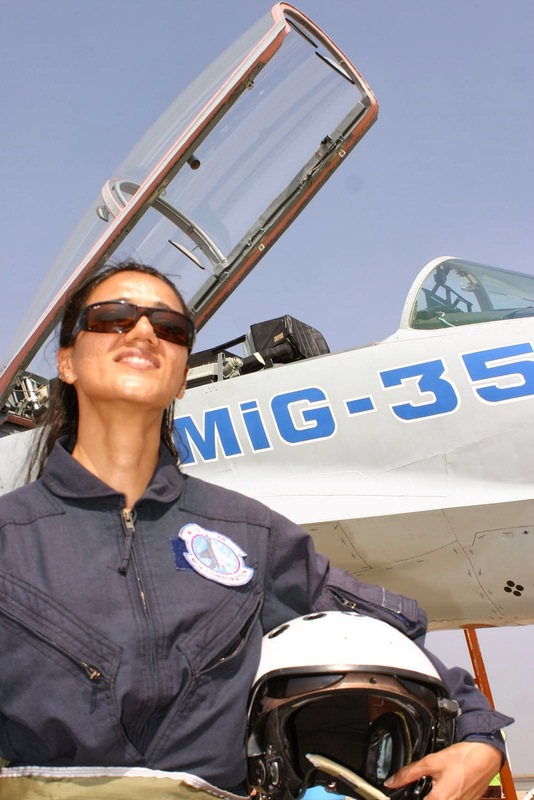 The squadron was the first to operate the SU-30MKI from Leh airfield. 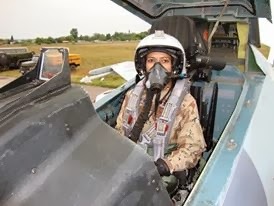 The Squadron has till now won two mention-in-despatches, 13 Vayu Sena Medals and one Vishisht Seva Medal The Squadron is called the ‘Hawks’ and its motto is ‘Navijitya Nivartanam’ which means ‘No Return Without Conquest’ It enshrines the glorious history, embodies the noble traditions and represents the ethos of the squadron. The glorious past infuses pride and confidence among all personnel. 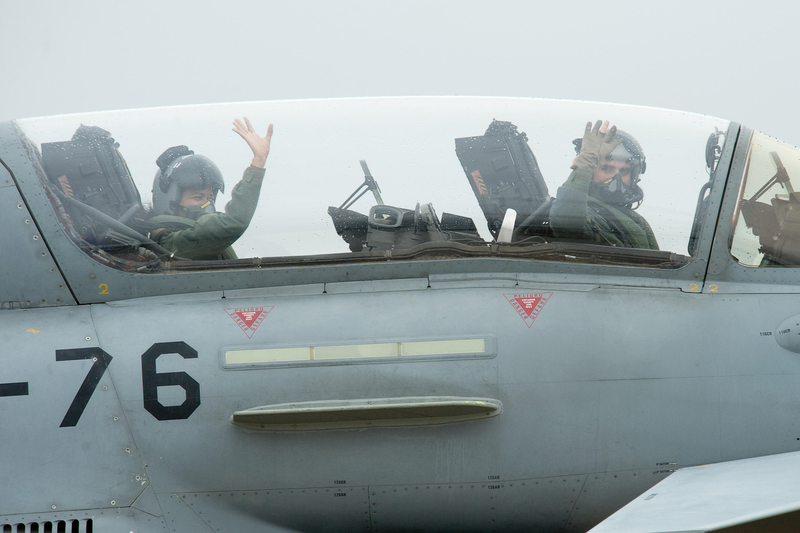 This Squadron called the ‘Hawks’ are formidable and a potent threat to any adversary casting an evil eye on the Country. 111 Helicopter Unit was raised in January 1963. 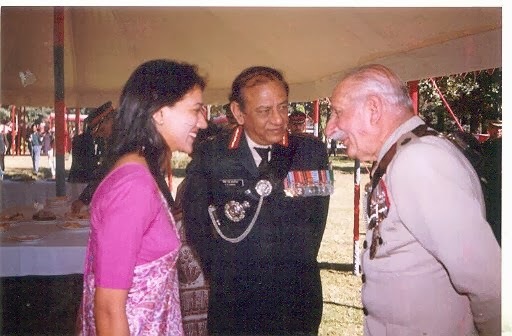 The unit has several accomplishments to its credit and has participated in the Indo-Pak conflict of 1965 and, the 1971 Indo-Pak war. 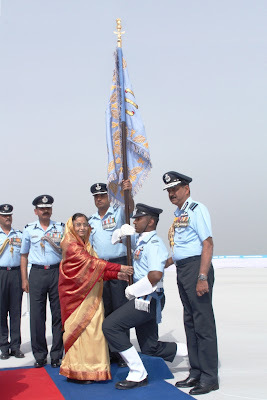 The unit has created a world record for the highest landing by a cheetah helicopter at an altitude of 23,250 ft. Till now the unit has had the distinction of receiving CAS unit citation, One Kirti Chakra, 16 Vayu Sena Medals and three Vishist Seva Medals. 111 HU has been undertaking humanitarian relief operations and casualty evacuation. The unit helicopters have saved several casualties and stranded mountaineers justifying their name ‘Snow Tigers’. The unit lives upto its motto ‘Apatsu Mitram –Friends in Distress’. 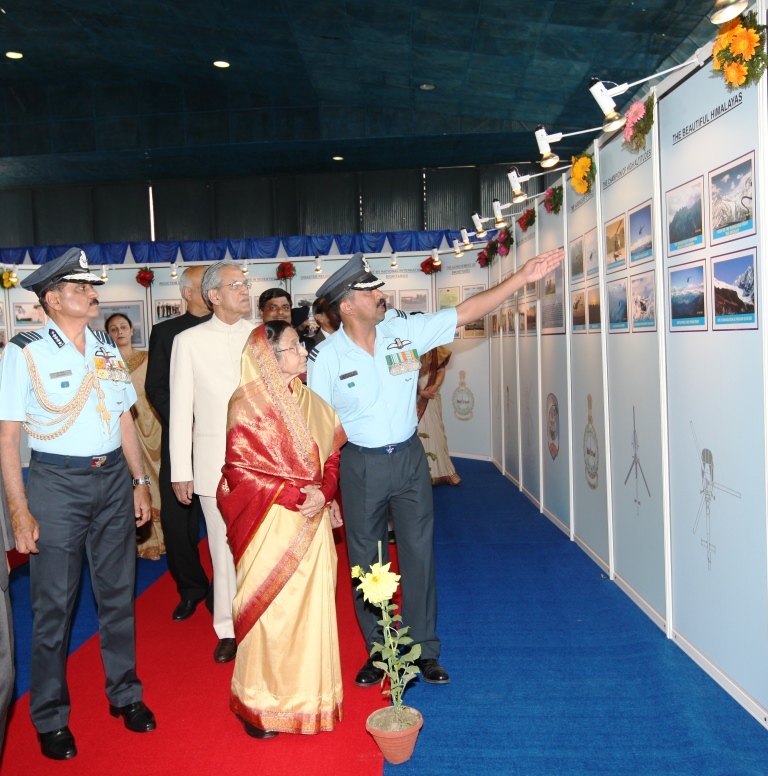 A photo exhibition was also organised on the occasion. To mark this glorious chapter in the annals of the history of the Indian Air Force, the President of India also released First Day Covers for both the Air Force Units. 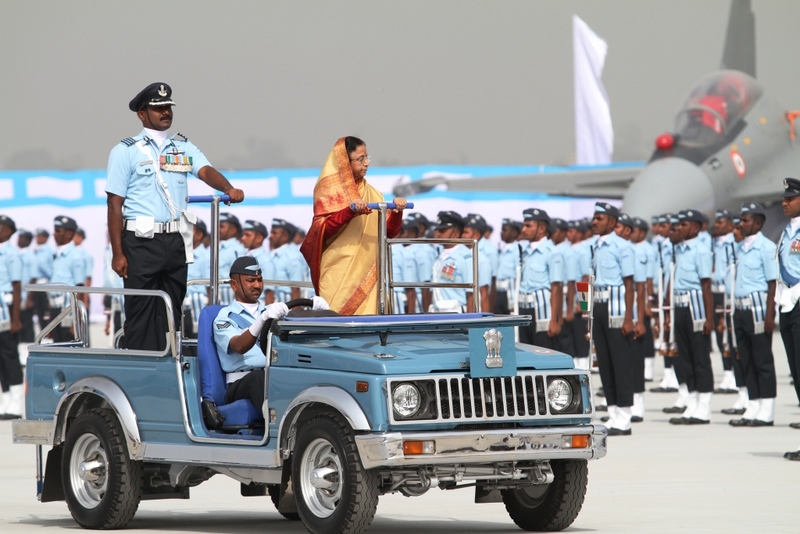 Award of Presidential Standard is a great honour bestowed upon an Air Force unit by the President, represents its glory in terms of the exceptional service rendered to the nation both during war and peace. Far from being just a distinguishing mark or a rallying point in the battle as it used to be in the medieval ages, award of standard presentation today not only serves as a source of inspiration and esprit-de-corps among the fighting forces but also a symbol of excellence.